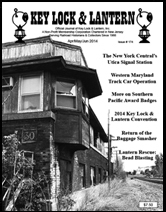 Great Train Extravaganza, Gaithersburg Railroadiana Show, Fall 2012 Brookline Auction Results, Grand Central Terminal 100th Anniversary Events, Book Review: Union Pacific Timeline, KL&L Magazine #168 Highlights, Want Ads & Event Calendar. 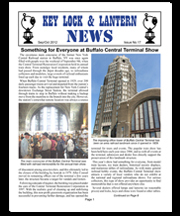 Buffalo Central Terminal Train Show, Railroad Memories Auction, Estate Planning for Collectors, Union Pacific 150th Anniversary Train Schedule Update, KL&L Magazine #167 Highlights, Want Ads & Event Calendar. 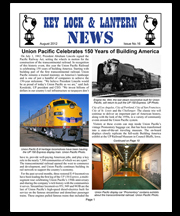 Union Pacific 150th Anniversary Train, Berkshire Scenic Railway Museum, Bill Kratville Collection Auction, Norfolk Southern Exhibit Car, Museum & Preservation News, KL&L Membership Renewals, Want Ads & Event Calendar. 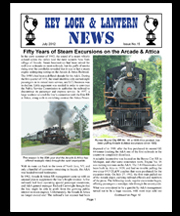 50 Years of Excursions on the Arcade & Attica, Railroad Memories Auction, ALCO Heritage Museum, Empire State Xpress RoadRailer, Museum & Preservation News, KL&L Membership Renewals, Want Ads & Railroadiana Event Calendar. 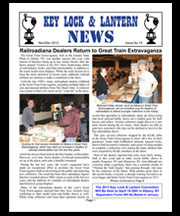 KL&L Convention, Brookline Railroadiana Auction Report, Railway Museum of San Angelo, Adirondack Scenic Railroad, KL&L Membership Meeting Report, Want Ads & Railroadiana Event Calendar. 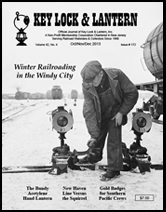 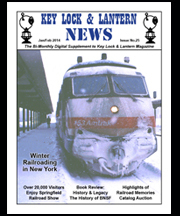 Railroad Memories Auction Report, Clark Railroad Hobby Show, KL&L Convention Information, KL&L Issue #165 Highlights, How the KL&L Magazine is Produced, National Train Day & Amtrak Exhibits, Want Ads & Railroadiana Event Calendar. 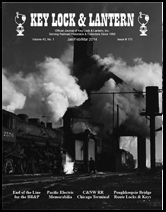 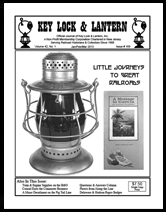 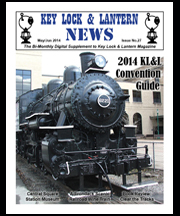 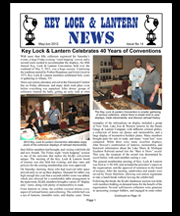 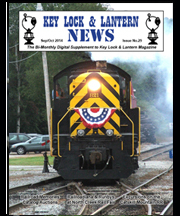 Key Lock & Lantern Convention Schedule, Railroad Memories Auction Report, Amherst Railway Society Railroad Hobby Show, Book Reviews of White River Junctions & Classic Eastern American Railroad Routes, Want Ads & Railroadiana Event Calendar.